The Webelos Scout Program prepares children who have completed year 4 or third grade or are age 10 but have not yet completed year 6 or fifth grade or reached age 11 1/2 to bridge into a troop. Pronounced "WEE-buh-los", the word "Webelos" means WE'll BE LOyal Scouts. Webelos is for 4th and 5th grade children to prepare to join a Boy Scout troop while learning outdoors skills and participating in many adventures. A well-run group of Webelos is a gradual change from being an 'adult-run' den to being a 'scout-run' patrol ready to fit right into an adventurous Boy Scout troop. This migration requires the parents and den leaders to give the scouts more and more control, decision-making power, and responsibility as they progress in skills, abilities, and maturity. 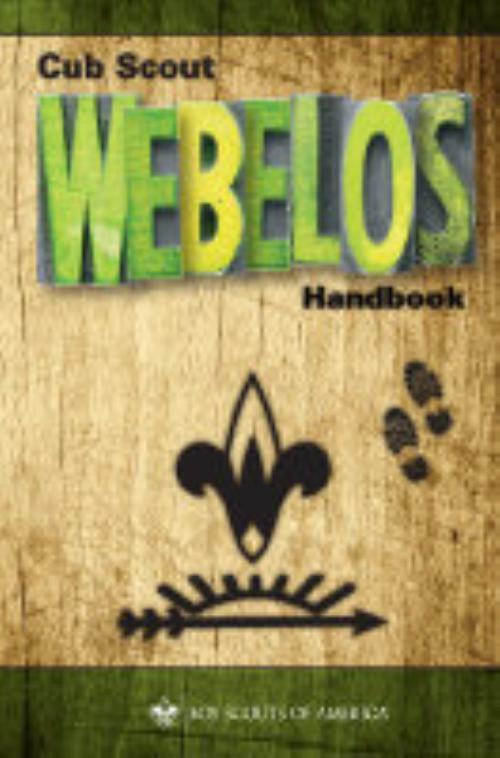 Webelos Scouts do adventures described in their Webelos handbook that advance them towards their Webelos rank. By completing at least six adventures, the Webelos rank is earned.